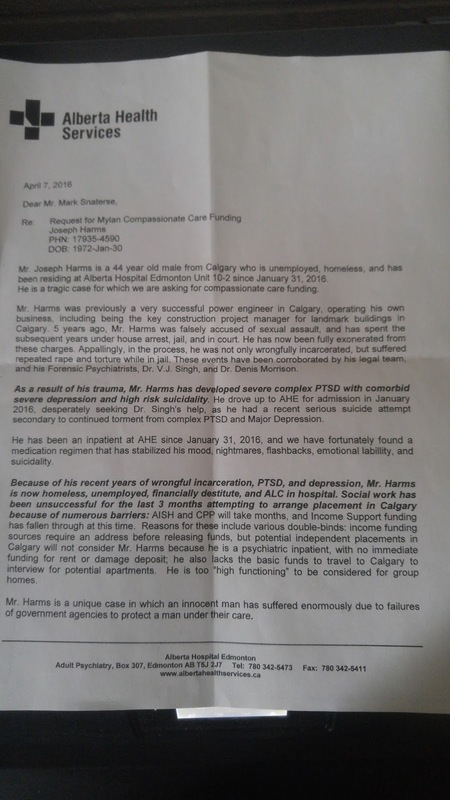 Tortured by Canadian government: On my behalf someone steps in and brings to light that which they did in the name of justice. On my behalf someone steps in and brings to light that which they did in the name of justice. The following letter is unedited , blackouts. 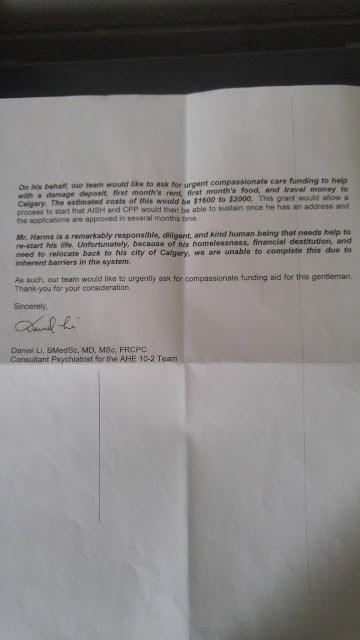 It is from one of my highly esteemed Doctors that collaborated with the other two and put his neck or career on the line and said no!, the truth will come out and for that I will ever be grateful the courage it took to stand against a corrupt system. Even if it could hurt him, them. In this letter you can see the uttermost destruction of a man facing false allegations by a Female. Broke, destitute, homeless, multiple suicide attempts and some leading to very near misses. Beyond your wits and throwing yourself at the mercy of a mental hospital before one and final act to end it all. You'll notice that he doesn't say "accused , alleges, claims" but rather solidifies it into reality that certain things did occur to me. Odd considering I was a patient in a mental Hospital who very little you would believe . Unless of course you have evidence like I do and the fortunate circumstance of meeting someone who stands up for right, a man of character and moral fortitude. Whom does some vetting of his own alongside my complaint. I was conflicted as to whether to share this or not for some time as it is very personal and quite embarrassing. My decision to share it took near a year and I do so with the guts that I've had throughout this whole ordeal in an attempt to enlighten some on why those who falsely accuse should be punished. Instead as a criminal they walk away aided by the justice department. Let it pass your own test of reason, maybe some of you will know why I complained so much on the different sites for men and even started this Blog.